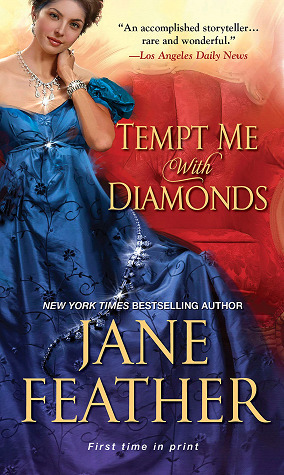 Today I'm featuring an upcoming read, Tempt Me with Diamonds by Jane Feather. The excerpts shared are from a paperback version borrowed from the library. Rupert Lacey, as his habit, moved from sleep to wakefulness in a matter of seconds. He opened his eyes abruptly, aware of the faint gray light of dawn showing between a gap in the curtains and the unmistakable sense that something was happening in the house. There was nothing specific to give him this feeling, no particular sound, just a stirring of the air, a sense of motion. He sat up, reaching for the bellpull on the wall beside him. It was answered within minutes. Davis, his batman, came into the bedroom carrying a tea tray. "Good morning, Colonel." He set the tray by the bed and went to draw back the curtains. Page 56: No one spoke again while Barlow set down the sherry decanter and filled their glasses. "Mrs. Harris said luncheon will be served in half an hour, Miss Diana. Will that be satisfactory?" 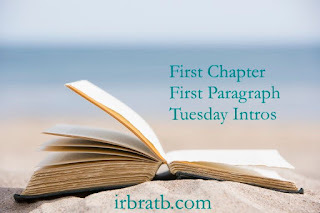 My thoughts: It's been a long time since I've read a historical romance, and this first book in the new London Jewels series caught my eye when I saw it on several websites and blogs. I like the way the excerpts transport the reader to England in the early part of the twentieth century. 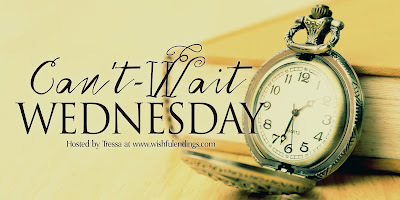 Can't-Wait Wednesday is a weekly meme hosted by Tessa at Wishful Endings that spotlights and discusses forthcoming books that bloggers are looking forward to reading as soon as they're published.. This meme is based on Waiting on Wednesday, formerly hosted by Jill at Breaking the Spine. From Goodreads: Clare Cassidy is no stranger to murder. A high school English teacher specializing in the Gothic writer R. M. Holland, she teaches a course on it every year. 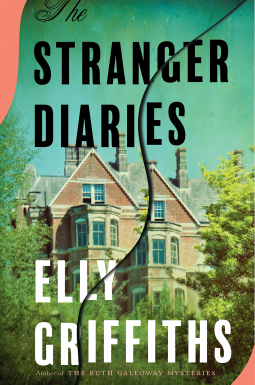 But when one of Clare’s colleagues and closest friends is found dead, with a line from R. M. Holland’s most famous story, “The Stranger,” left by her body, Clare is horrified to see her life collide with the storylines of her favourite literature. To make matters worse, the police suspect the killer is someone Clare knows. Unsure whom to trust, she turns to her closest confidant, her diary, the only outlet she has for her darkest suspicions and fears about the case. Then one day she notices something odd. Writing that isn't hers, left on the page of an old diary: "Hallo, Clare. You don’t know me." My thoughts: I'm well aware of the praise for Griffith's popular Ruth Galloway series, which is on my must-start someday list. Since the series is now eleven books strong, I will first sample Griffith's work when this stand-alone novel is released. I've already placed a hold request for a copy at the library. 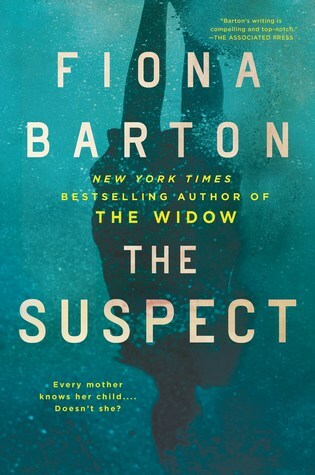 Today I'm featuring an upcoming read, The Suspect by Fiona Barton. The excerpt shared is from the hardcover edition I borrowed from the library. It's never a good thing for the phone to ring in the dead of night--and my curiosity compels me to read on. Who is calling and why does it warrant a call at 3 a.m.? 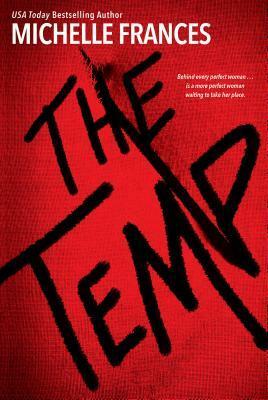 Today I'm featuring my current read, The Temp by Michelle Frances. The excerpts shared are from a hardcover version borrowed from the library. "Eight's your lucky number," murmured Carrie in Adrian's ear, making sure her lips were hidden from the TV camera that was pointing at them. She kept her expression humble and nonchalant while she gazed up at the screens showing clips from the shows nominated for Best Screenplay. Page 56: "My job won't be temporary forever," she said brightly to her small audience, privately thinking: why can't they just be pleased for me? My thoughts: This story drew me in immediately. Carrie and Adrian, a married couple who work in television, appear to have it all: successful careers, an expensive sports car, and homes in London and on the British coast. But their seemingly perfect world is suddenly threatened by the arrival of Emma, an office temp. 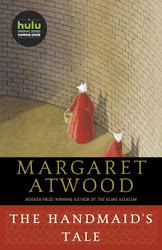 From Goodreads: Wanted: Assistant to provide maternity cover for high-powered TV producer. Must be bright, creative, with killer instincts. 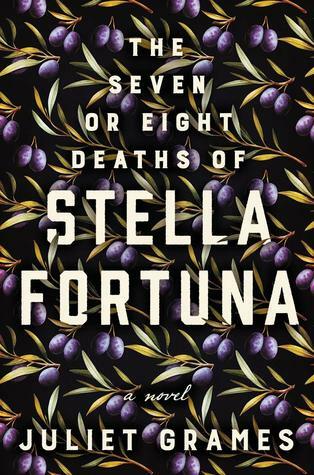 From Goodreads: In this stunning debut novel, a young woman tells the story behind two elderly sisters’ estrangement, unraveling family secrets stretching back a century and across the Atlantic to early 20th century Italy. My thoughts: Family sagas are one of my favorite types of reads, and this one sounds like a captivating story of family secrets, drama, passion, cultural detail, and multi-generational characters. 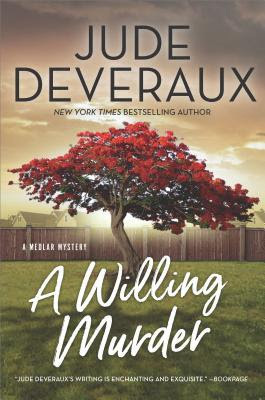 Today I'm featuring an upcoming read, A Willing Murder by Jude Deveraux. The excerpt shared is from the hardcover edition I borrowed from the library. Sara was sitting in Jack's dry, sunless apartment on an old chair someone had given him. She let her shoulders droop and her head sag in an attempt to show every minute of her sixty-plus years of life. It wasn't helping that she'd been in boxing class at 6:00 a.m. When she moved her arm, she gave an involuntary gasp. She was sore from all those uppercuts her trainer had made her do. I've been meaning to get to this book for a while now, having renewed it several times at the library. The opening excerpts aren't particularly catchy, but I'm intrigued by the author's first foray into the mystery genre. As you probably know, she is quite popular in the romance category. 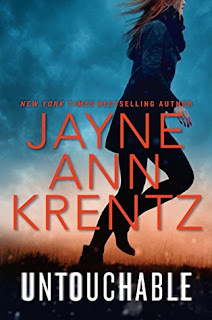 Today I'm featuring Untouchable by Jayne Ann Krentz. This is the third book in the Cutler, Sutter & Salinas series. Beginning: Fifteen years earlier . . .
She was fourteen years old and sleeping in yet another bed. The little house on Marigold Lane looked cozy and welcoming from the street--lots of curb appeal, as the real estate agents liked to say--but she had decided that she would not be there for long. Page 56: The storm had made landfall. That was probably what had awakened her. But for some reason that didn't feel like the right explanation. My thoughts: I'm looking forward to starting this latest book by Jayne Ann Krantz. She is a masterful suspense writer who has never disappointed me with her talent and imagination. From Goodreads: A man's quest to find answers for those who are haunted by the past leads him deeper into the shadows in this electrifying novel from the New York Times bestselling author of Promise Not to Tell. 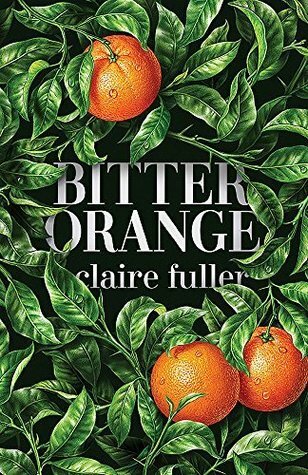 Today I'm featuring my current read, Bitter Orange by Claire Fuller. They must think I don't have long left because today they allow the vicar in. Perhaps they are right, although this day feels no different from yesterday, and I imagine tomorrow will go on much the same. The vicar--no, not vicar, he has a different title, I forget--is older than me by a good few years, his hair is grey, and his skin is flaky and red, sore-looking. I didn't ask for him; what faith I once had was tested and found lacking at Lyntons, and before that, my church attendance was a habit, a routine for Mother and me to arrange our week around. I know all about routine and habit in this place. It is what we live, and what we die, by. I am intrigued by the opening paragraph because it conjures up questions and mystery for me. Who is the narrator, the person who is reflecting back on the past? Who is the vicar? What is Lyntons? It is enough to keep me reading on. Today I'm featuring a current read, Fly Girls by Keith O'Brien. The excerpts shared are from a hardcover version borrowed from the library. It's this month's selection for one of my book clubs. Page 56: The engine quit--and that's when McPhetridge made her mistake. Instead of landing straight ahead on whatever ground she could find, she tried to turn back for the airport. My thoughts: This true story of five American women from all walks of life (and all relatively unknown except for Amelia Earhart) is a fascinating read. O'Brien shares biographical information on each and recounts the obstacles they faced in entering the male-dominated field of aviation. Their bravery and determination was incredible. 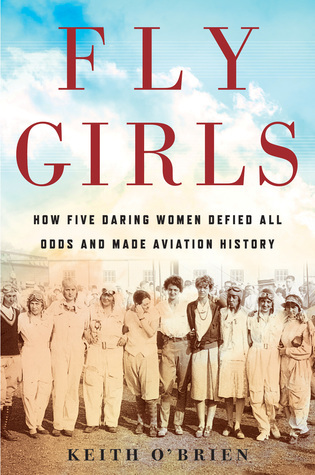 From Goodreads: The untold story of five women who fought to compete against men in the high-stakes national air races of the 1920s and 1930s — and won.